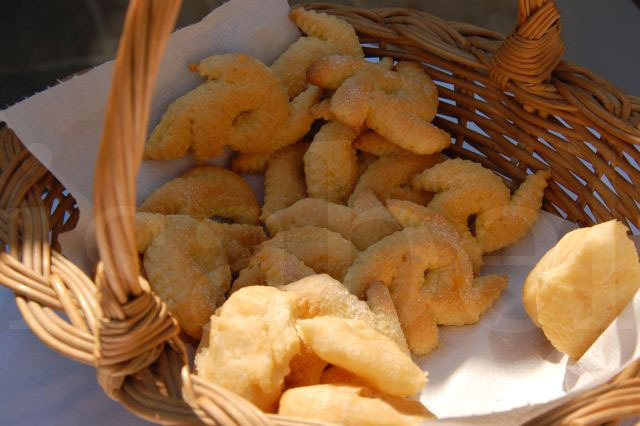 Cukerančići are a traditional type of cookie or biscuit, always prepared for special occasions. Cuker means sugar in Istrian dialect (pronounced 'tsuker' and similar to Zucker in German... and different to šećer in Croatian), which is sprinkled on top (hence the name!). Very often they're dipped in white wine (after they're baked) before being sprinkled with sugar. The Croatian letter C is pronounced like the 'ts' sound in the word 'cats'. How do you pronounce the whole word? Cukerančići? Sounds difficult! Yes, it is a mouthful! Try saying: tsooker-an-chi-chi!